← Are We Increasing Resource Use and Taking Beef from the Mouths of Hungry Children? Scare Tactics – Why Do So Many “Public Health Experts” Promote Fear vs. Food? How many of us are motivated by fear every single day? We’d like to think that we’re lucky enough to live in a society where we don’t feel afraid. In contrast to inhabitants of many war-torn regions we are unlikely to be shot as we drive to work; when we’re sick we have the luxury of modern medical attention (Obamacare not withstanding); and we can buy almost any food we fancy, at any time of year and feel safe in our food choices… or can we? Food safety is an underlying assumption of dietary choice within the USA. We buy food based on three major factors: taste, price and nutrition. Safety isn’t a defining factor in choosing between the cheese quesadilla, the chef’s salad or the T-bone steak because most of us have rarely experienced significant negative health effects as a consequence of food choice (aside from the annual Thanksgiving food coma). Yet so many food commentators, self-proclaimed experts (I read Michael Pollan therefore I am…) or bloggers appear to exist for the sole purpose of instilling consumer fear. Take this recent article in Salon – 9 reasons why we should fear eating steak – apparently it’s riddled with antibiotics, full of heavy metals and likely to give us all mad cow disease. I’m not going to turn this blog post into a thesis, so today will simply address one of the issues raised in the article, and examine the others in future posts. I’m a scientist by training. In my career to date, I’ve learned that the more controversial the topic, the more important it is to base claims on sound data that is peer-reviewed and published in order to gain trust. If I present data that challenges perceptions, the first questions are always “Is this published in a peer-reviewed journal? Who funded it? How do I know it’s correct?” That is not to say that science is the only way to communicate – it’s not. Yet when making claims, it’s important to have science, or at least logical and biologically-feasible arguments, to back them up. Yet, if we’re asking a question, even if it’s a loaded question that may instill fear or doubt into the reader, apparently scientific foundation is redundant. Could combining coffee and bagels in the same meal cause impotence? Is breast cancer caused by the rise in popularity of household pets sleeping on their owners’ beds? Is your tiredness really the result of too little sleep, or could it be all the chemicals that “big food” uses every single day? Hey, I’m just asking! Not making a claim, not saying that X + Y = Z, just throwing the thoughts out there. But having read them, how many of us now are thinking about our sexual performance, the potential ill-effects of Fluffy the cat, or how we really do seem to be more tired nowadays? (note that these really are examples that I have invented, I know of no scientific foundation for any of them). Could Ractopamine, added to the food supply in 1997 with little public awareness1, be contributing to skyrocketing rates of obesity and hyperactivity in children? The FDA approved the use of Ractopamine in swine in 1999. It’s added to the diet of finishing pigs, improving feed efficiency and partitioning more feed nutrients into lean meat rather than fat (as demanded by today’s consumer). Effectively it allows us to produce more pork using fewer resources, but it has been linked to behavioral changes in pigs. Most of us are aware that childhood obesity is a huge issue (pardon the pun). Many of us know children that have been diagnosed as having attention deficit hyperactivity disorder (ADHD). So does Ractopamine cause these? It’s as likely as suggesting that eating alfalfa hay is going to make us lactate like dairy cows. Maximum residue limits (MRLs) exist to make sure that there are no human physiological effects of veterinary drugs in meat, milk or eggs from treated animals. Regulatory bodies including CODEX assess potential human effects of a drug residue in animal products by multiplying the average residue level in food by the average intake. For example, if the residue level is 2 micrograms per 100 grams and the average person eats 300 grams of that food each day, the intake would be 6 micrograms. This intake is then compared to the acceptable daily intake (ADI) – the quantity that could be eaten every day for a lifetime without human health risk. This is usually the intake that would have a physiological effect, divided by a safety factor of one hundred. The MRL for Ractopamine in meat is 0.25 parts per million (0.00000025 grams per gram) with an ADI of 1.25 micrograms per kg of bodyweight per day. If we examine the average pork intake for a 10 year old child in the USA (detailed calculation below) we see that they’d have to eat 13.3x more pork than the daily average to even equal the ADI – remember that’s the intake at which we would expect no physiological effect. For Ractopamine to have a physiological effect, the ADI would have to be increased one-hundred-fold. So the average 10-year old child would have to eat 1,330x more than the average child’s intake of pork, equivalent to 35 lbs of pork per day, every single day (the average adult only eats 48 lbs of pork in a year), for Ractopamine to have a health effect. My little nieces adore pork sausages, but they are pushed to eat two (approx 2 oz) in a day, let alone 35 lbs worth! Still think that we can link Ractopamine use to obesity and ADHD? We can’t prove a negative, but it’s as tenuous a link as suggesting that we could drown in a single drop of water. So why are public health “experts” like Martha Rosenberg using fear tactics to scare us rather than extolling the positive contributions that high-quality animal proteins make to the human diet? Surely there’s no agenda there….is there? 1Note that all the data relating to this is freely-available on the internet – the “little public awareness” line is simply more fear-mongering. Let’s examine an average child’s intake. The average 10-year-old boy in the USA weighs 32 kg (71 lbs) and needs 34 grams of protein each day. In the USA, meat contributes about 40% of protein intake and about 21% of that comes from pork. 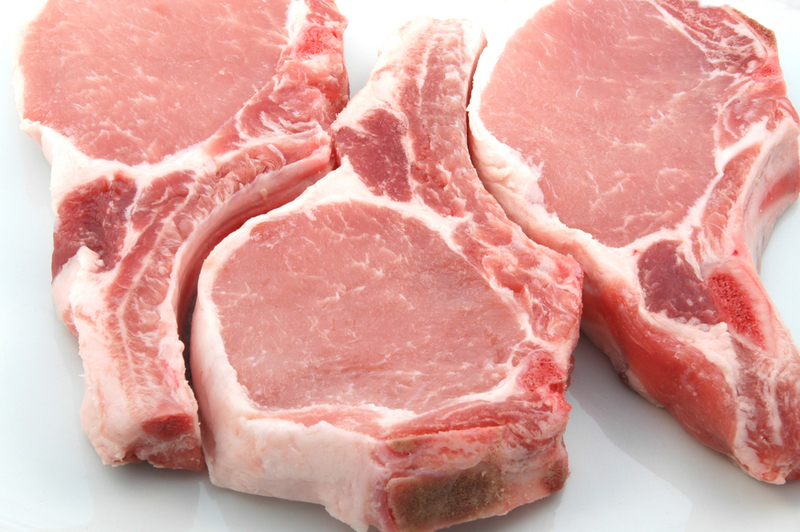 That means, on average, a 10-year-old boy would eat about 12 g of pork per day (2.9 g protein). If Taylor eats 12 g of pork each day at the maximum residue limit of Ractopamine (note that this would be unusually high), he’s consuming 12 g x 0.25/1,000,000 = 0.000003 g Ractopamine. His ADI = 1.25 micrograms x 32 kg bodyweight = 40 micrograms, or 0.00004 grams. That’s 13.3x higher than his intake. So a child could eat 13.3x more pork than average, every single day, and not be expected to have any physiological effects. For ingested Ractopamine to have a physiological effect he would have to eat 100 times that amount – 16 kg, or 35 lbs of pork per day. To put that into context, the average adult eats 48 lbs of pork in a year. This entry was posted in Animal Welfare, Bacon, Beta Agonist, Cattle, Consumer, Controversy, Drug, Effiency, Expert, Fear, Food and Nutrition, Food Security, Meat, Pigs, Pork, Ractopamine, Residue, Science, Swine, Technology, Trust and tagged ADHD, ADI, Beta Agonist, Children, Drug, Fear, Food Safety, Food Security, Health, Loaded Question, Meat, MRL, Obesity, pork, Productivity, Ractopamine, Residue, Technology, Veterinary. Bookmark the permalink. I agree. There are no easy answers out there and we can find a scientific paper to support almost any viewpoint, so until we have more data, we are still going to be in the dark to some extent. There are a lot of food scare tactics in place. All I know is that I trust God. God created meat and my bible says he cleansed and sanctified it and it’s nothing to be refused if it be received with thanksgiving. I pray over my food and keep going. My Great Aunt lived to be well over 100 years old and she ate a well balanced diet from the four food groups. She was an exceptionally healthy person throughout her entire life. She never developed cancer, heart disease, diabetes, lung issues or infections, or any other “food related” health problems or illnesses. Her memory was intact and she had the appearance of a youthful 50 year old. She was an extraordinarily beautiful woman inside and out. Yet I know of a vegan who jogged everyday, did not use drugs, alcohol or even smoke cigarettes who dropped dead at the age of 27 from a heart attack. She didn’t have an eating disorder of any kind either. Her Doctor was baffled by her premature death and had no choice but to rule it as natural causes. This is why I don’t understand vegans condemning omnivores, being disgusted by us eating meat as well as plants, considering meat murder and thinking themselves more healthy than we are. Many a vegan have begun becoming weak enough over time to turn back to an omnivorous lifestyle after learning from a Doctor that they do need to begin consuming meat to balance out their health. No mere mortal can ever propose to know more than God. I could never imagine a diet without meat and dairy. I’m pretty tired of the fear mongering myself. These alarmists aren’t helping anyone a bit. I do my best to follow a good diet, not a desperate one. Really tired of being afraid to eat burger meat and anything other than fish and chicken. What God had cleaned let no man call unclean.